Instant downloads! Crochet pattern pdfs. This sale is LIMITED TIME ONLY!! Purchase 28 of my best selling crochet patterns + 5 bonus patterns for just $35 (that's a $168 value). 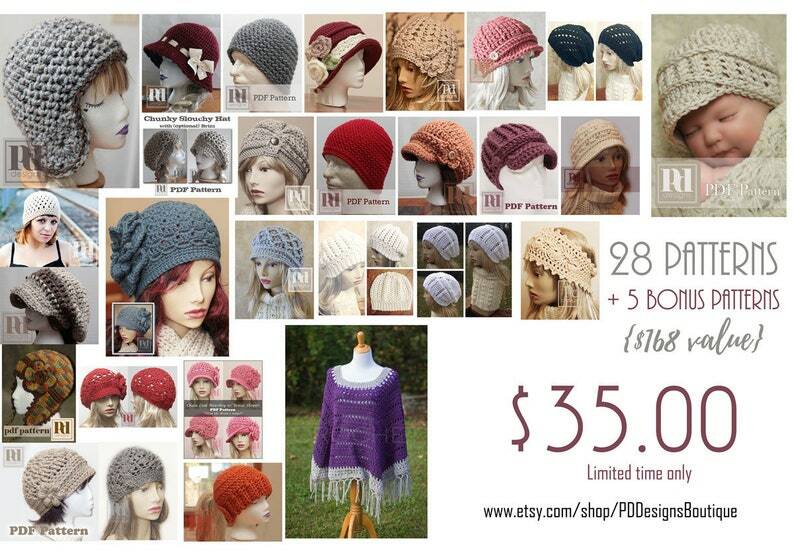 Hats, ponchos, headbands....infants, teens, women & men....something for everyone! You will receive a zip file upon payment that contains over 33 PDF patterns. Due to the nature of this Digital Download, refunds are not accepted.